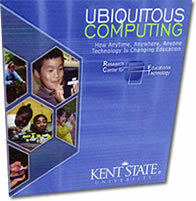 Kent State's Research Center for Educational Technology has released the DVD-ROM Ubiquitous Computing: How Anytime, Anywhere, Anyone Technology Is Changing Education. The DVD is packed with nearly one gigabyte of data about ubiquitous technology. 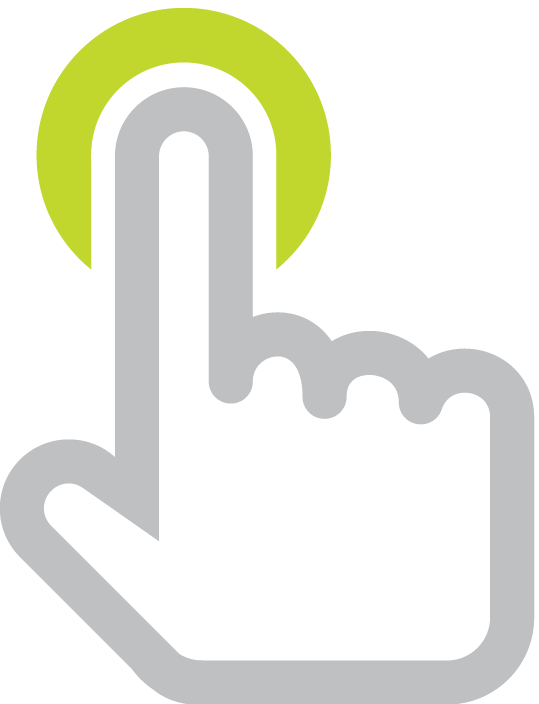 So, what is ubiquitous computing? Ubiquitous means "ever present" or "everywhere." RCET's definition of ubiquitous learning environments is "learning environments in which all students have access to variety of digital devices and services, including devices connected to the Internet and mobile computing devices whenever and wherever they need them." And, in case you were wondering, the term ubiquitous computing was coined in 1988. I learned from the DVD that some say the first wave of computing was many people per computer. The second wave was one person per computer. The third wave is many computers per person. Ubiquitous computing addresses this third wave. RCET's DVD-ROM has professionally narrated introductions and 36 video clips to help you understand where ubiquitous technology came from, what we know about it, and what it means for teaching and learning. The DVD has many concrete, real-world examples of ubiquitous computing. At first it might seem like a fancy word and a concept that is difficult to understand. After experiencing the DVD, you'll leave with a good sense of what it's all about. Mark van 't Hooft, who joined us for Soft Reset #10, worked really hard on this DVD. He describes this new resource in the discussion forum. In fact, Mark has been researching ubiquitous technology in learning for years. He's now started a blog of this own, Ubiquitous Thoughts. Some of his recent posts include Ubiquitous Technology for a Global World, Cell Phones in Schools?, and Changing Teaching and Learning in Ubiquitous Computing Environments. Although I'm certainly a fan of handheld computing, I think the idea of ubiquitous computing more accurately captures my thinking about how students are learning and how they will learn in the future. It's interesting to note that Google has 621,000 English results for handheld computing and 2,290,000 for ubiquitous computing. What does that tell you? Maybe you need to learn more by ordering the RCET's DVD-ROM! It works with Mac or Windows computers and RCET will gladly send you one free of charge.